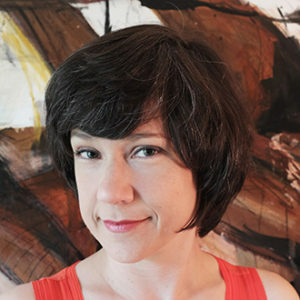 Dr. Lillian Lewis is an Assistant Professor of Art Education at the Department of Art, Youngstown State University. Dr. Lewis received her Ph.D. in Art Education with a graduate minor in Art History from The Pennsylvania State University. She received her M.A. in Art Education and was awarded a Graduate Certificate in Museum Education from the University of North Texas. She obtained her B.S. in Art Education and teacher education certification and licensure from Howard Payne University. Dr. Lewis’ research interests include: exploring relationships between digital and analog learning communities in school and non-school settings, theories of curricula and performance pedagogy, and roles and implications of new media and visual culture in art education. Dr. Lewis has five years of experience as a K-12 art teacher in Texas and Florida public schools. She served as curator of education at the San Angelo Museum of Fine Arts, and as the coordinator for the Zoller Gallery of Art at The Pennsylvania State University. Her research record includes scholarly journal articles, essays, and book chapters as well as art exhibitions throughout the United States. Dr. Lewis is an active member of the Ohio Art Education Association and the National Art Education Association (NAEA). She was selected to receive the NAEA Marilyn Zurmuehlen Working Papers in Art Education Award in 2015. She currently serves as Associate Digital Curator for the NAEA Caucus of Social Theory in Art Education and serves on the editorial advisory board for International Journal of Education and the Arts.